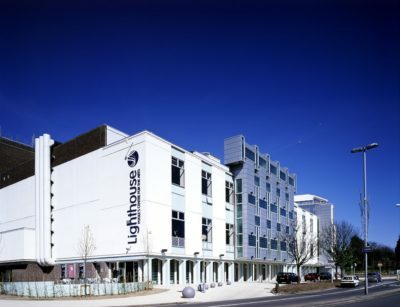 Cherry Haynes has been coming to Lighthouse since before it opened and says she loves it just as much now as she ever did. 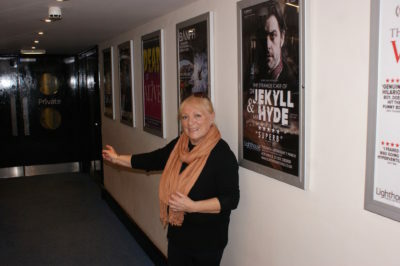 Having applied after seeing an advert in the Echo, Cherry was one of our first stewards – or usherettes as they were known then – and attended a series of training courses in the weeks leading up to Poole Arts Centre opening on 1 April 1978. Cherry worked here for nearly two years before leaving to run the hotel her husband had bought in Bournemouth. Although much has changed since those early days, one thing that remains the same for Cherry is the atmosphere. “I still get tingly every time I come here, there’s a magic to the place and I love it. There are so many memories. As well as royalty and her many work colleagues Cherry has fond memories of stars like Leslie Crowther, Harry H Corbett, Derek Griffiths, David Jason and Roy Castle. 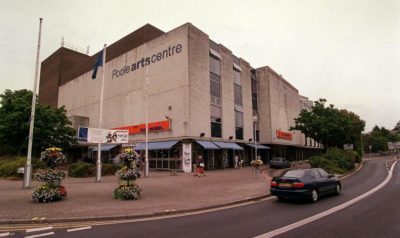 Poole Arts Centre also played host to the King of Pop, Michael Jackson, on 25 February 1979 when he appeared with The Jacksons on their Destiny World Tour. “People don’t believe me but Michael Jackson was here with his brothers,” says Cherry. “They wore these peachy-orange jumpsuits and he can’t have been more than twenty. He did his famous moonwalk across the stage and the audience went wild. But one of Cherry’s most memorable moments still brings the colour to her cheeks. “One night, it was a BSO concert and I was selling ice creams on the balcony,” she recalls. “This man asked for ten tubs so I had them on the ledge as I sorted out his change. Someone pushed past and one of the tubs went over the edge and landed on the head of this bald man in a full dress suit below. Well, I was horrified and rushed downstairs to apologise.